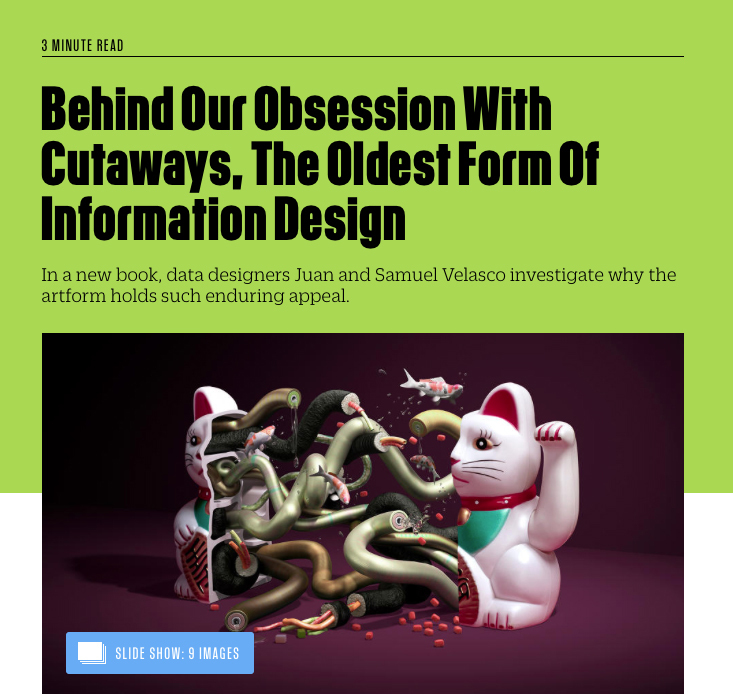 CO.DESIGN is great website about the intersection of business and design created by the team of FastCompany magazine. They just published a nice review of our book Look Inside, by Meg Miller, including some nice samples. You can read it here. Our new book about cutaways, LOOK INSIDE: Cutaway Illustrations and Visual Storytelling is a showcase of the best, most beautiful and fascinating cutaway illustrations ever created, from historical times to now. Cutaways, exploded views, and cross sections, are explored across a wide range of applications and disciplines. Architectural renderings, anatomical illustrations, machine diagrams, and even fantasy illustrations are just a few of the various subjects presents in this compilation. 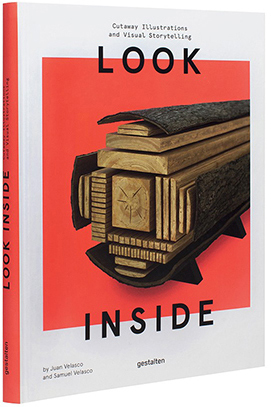 LOOK INSIDE is published worldwide by Gestalten and can be ordered in Amazon, at the Gestalten online store or wherever books are sold. This entry was posted in books, News, Uncategorized by 5wgraphicsblog. Bookmark the permalink.